Blu-ray, known as Blu-ray Disc, is the name of a new optical disc format jointly developed by the Blu-ray Disc Association. It offers more than five times storage capacity of traditional DVDs and can hold at least 25GB media file. And this extra capacity combined with the use of advanced video and audio codecs will offer consumers an unprecedented HD experience. Relying on these above advantages, Blu-ray has been widely adopted in movie industry to lead a real video audio effect. If you are planning to have a trip, enjoying your beloved Blu-ray movie on iPhone 4 will be considerably cool thing on the road, such as at the airport, on the train, etc. However, you will inevitably be confronted with the following problem. Firstly, encryption AACS and BD + copy protection technologies that utilized in Blu-ray movie make it considerably tough to decrypt Blu-ray to iPhone incompatible formats. Secondly, limited memory of iPhone 4 hinders you from putting more than two Blu-ray movies. WinX Blu-ray Decrypter works professionally to decrypt Blu-ray Disc, Disc BD-R and RD-RE hard drive as M2TS file by removing encryption AACS and BD + copy protection. It rips Blu-ray DVD with high speed and excellent quality. 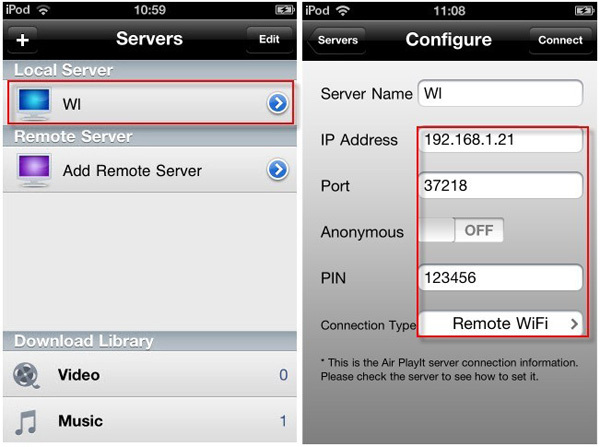 To get Air Playit working, you need to install Air Playit Server on computer and App Client on iPhone 4. 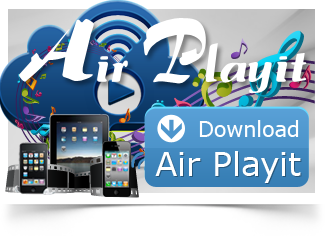 Please go to www.airplayit.com to download this server and app client. Step 1: Run Air Playit Server on your computer and add decrypted Blu-ray movie to "Shared Folders" by clicking "Add Folder"
Step 2: Run App Client on iPhone and add your server by clicking "+". The client can automatically discover the local network by Bonjour Server. Step 3: Browse this folder under your server; choose this video by clicking "Play". Then you may play Blu-ray movie in iPhone. WinX DVD Ripper Platinum can rip DVD to digital formats like MP4, H.264, AVI, WMV, MOV etc., backup DVD to a single MPEG2 file with no video/audio qulity sacrifice on Windows (10) PC/Mac. So that you can stream DVD movie to iPhone/iPad/TV with Air Playit perfectly. Do you know how to choose and use a movie streaming app for streaming movies on iPhone iPad? This tutorial will introduce a free app to stream any movie to iPhone iPad without conversion and sync. Streaming AVCHD Video to iPad iPhone makes it possible to watch 720p/1080i/1080p AVCHD Video on iPad iPhone easily and instantly via local or remote WiFi, 3G or 4G without any cost. 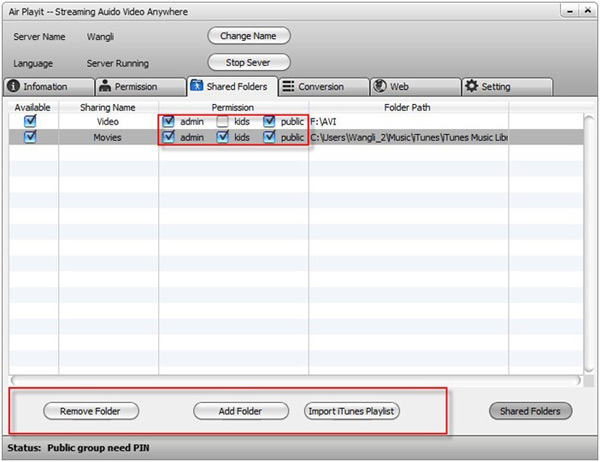 Free audio video streaming software can give you a helping hand in streaming video audio from your PC/Mac to iOS devices, i.e., iPhone, iPad, and iPod. It supports both live and offline conversions.